This post will have the official information for STAR WARS EPISODE IX directed by Colin Trevorrow (JURASSIC WORLD) and scheduled to open in 2019. Current timeline for STAR WARS films include: STAR WARS VII (12/18/15), ROGUE ONE (12/16/16), STAR WARS VIII (5/26/17), Untitled Han Solo film (5/25/18), STAR WARS IX (2019). Continue reading for all the news, images, and trailers for STAR WARS EPISODE IX, and we’ll continue to update this post as more information becomes available. STAR WARS moves back to summer blockbuster territory as Disney announced STAR WARS EPISODE IX is set for release on May 24, 2019. 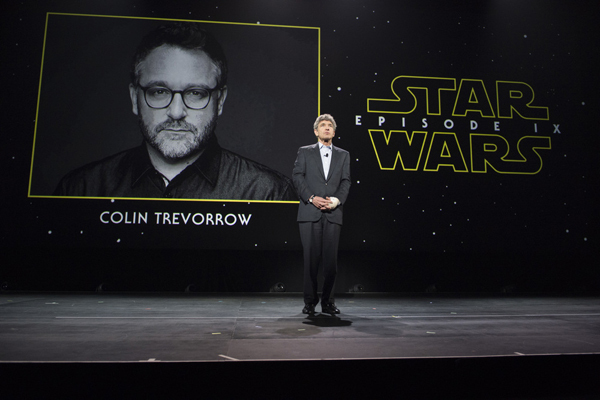 At the D23 Expo, Walt Disney Studios Chairman Alan Horn announced that writer-director Colin Trevorrow (director of JURASSIC WORLD) will direct Star Wars: Episode IX, which is set for release in 2019.